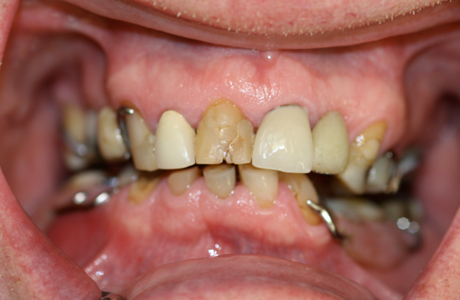 This woman presented with failing poorly executed crowns on the upper teeth and severely worn lowers. 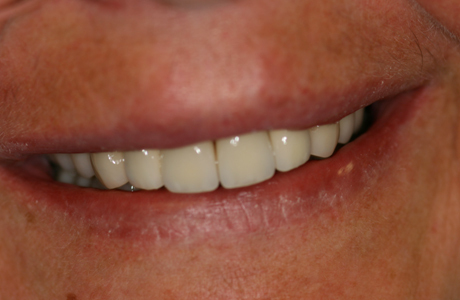 All upper teeth were restored with high quality porcelain crowns and bridges to provide an even, balanced smile. The lower teeth were built up using composite (white filling) material. These photos are after 5 years in service! 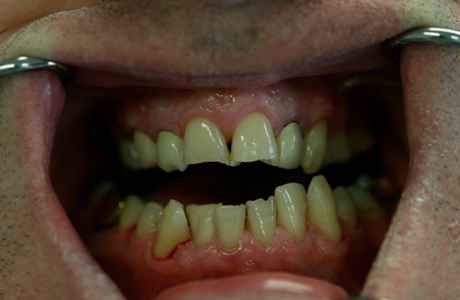 This elderly patient presented with failing upper and lower teeth. He did not want full dentures. 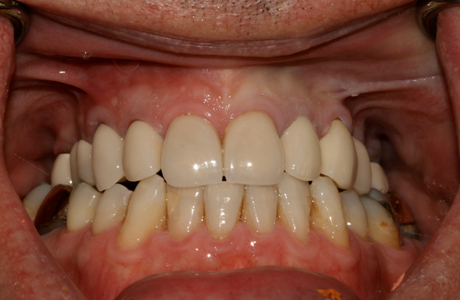 The upper teeth were restored with crowns and bridges but the lower teeth were removed as they were unrestorable. 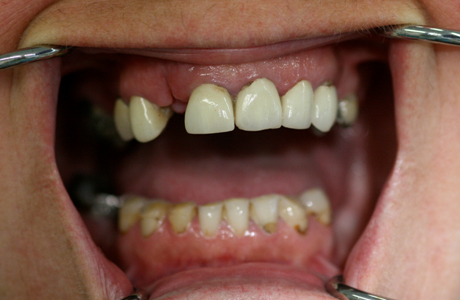 They were replaced with a bridge supported by four dental implants and it is permanently fixed in the mouth. 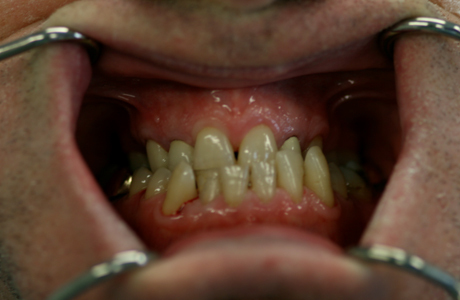 A discrepancy between the size of this patient’s upper and lower jaws resulted in the lower teeth destroying the uppers over a long period of time. 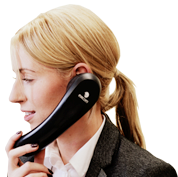 Neither braces nor crowns on their own would adequately address the problems. 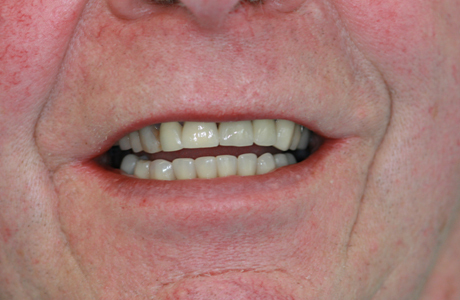 Invisalign treatment for 18 months followed by restoration of broken down and missing teeth with a combination of crowns and implants allowed this patient’s smile to be beautifully restored.